RENOWNED LOCALLY FOR OUR MYSTERIOUS AND MYSTICAL BEERS. MOORHOUSE’S IS SYNONYMOUS WITH THE MYTHS AND LEGENDS OF PENDLE HILL. 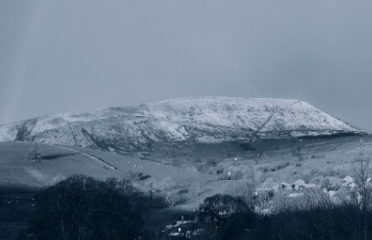 At 1,835ft, Pendle isn’t quite a mountain (just 165ft short), however, it’s unique and iconic status dominates both the local landscape and the communities that live here. Legend and folklore are rife about mysterious and unexplained happenings and the dark arts of witchcraft. Originally named Penhul, it was in 1652 George Fox climbed to the summit of Pendle Hill and was said to have a moment of enlightenment and divine inspiration which led him to subsequently start the Quaker movement. Nature, climate and topography have combined to create this mystical, boggy peat-covered monolith that casts its shadow over the locality, including our famous brewery. When the mist rolls in, as it often does, the hill is enveloped in a veil of secrecy and intrigue. It’s this atmosphere and eerie presence that still lingers on and can be felt across the moorland and woodland alike. Especially when the mist lingers, or in the dead of night, that this land of rich myths and legends comes to life. 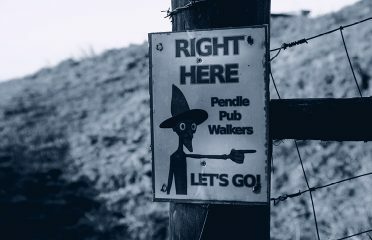 Pendle Hill is known far and wide for its connection with the infamous Witch Trials that took place in 1612. The stories and folklore have resonated down the centuries, and Pendle is renowned as one of the most haunted places in Britain. There are various Pendle Trails where you can discover sculptures by local artists that immortalise the sinister happenings and uncover the history to locations where ghostly and mystical events have been reported. Along the way you can take in the local communities and climb to the summit, to take in the fresh breathtaking Lancashire air and the fabulous views. You might even catch a glimpse of our brewery. BEVERAGES IN BURNLEY FOR 150 YEARS. At the heart of what we do is our state of the art brewery which combines our brewers’ craft with the innovation and new techniques of today. We’re beer lovers with discerning standards and every pint is brewed to perfection, for you to enjoy. Our expert brewers are fanatical about the beers they brew, quality is a byword at every stage of our brewing process and we will not release any beers unless they match our exacting standards. Alongside this is a thirst for innovation and invention, so look out for our exciting new craft and small batch brews. Come and see our M1 Small Batch Brewery nestled in the main brewhouse. Brewing small batches allow our brewers to create, experiment and develop unique recipes. Our brewers’ passion to find new and exciting beers gives you the chance to discover some exclusive beers for yourself. Look out for our M range of beers or follow us on Twitter to find when they are released. Discover the mystical secrets and recipes of our exceptional beers with a look behind the scenes. We take you through the heart of our brewery, where you find out about our brewing process, meet the brewers who create our unique beers and taste the results. The care and dedication of our team are key ingredients in making Moorhouse’s beers the best. From our expert brewers, who create both innovative recipes, with new flavours and aromas, as well as quality session beers that are famously celebrated locally, to the hardworking draymen delivering our ales the length and breadth of the country. We select our people as carefully as our hops and barley. Our beers have gained accolades both nationally and internationally. As you can see below, many of our ales are multi-award winning. We’re also extremely honoured to have received awards for the brewery itself and our wonderful pubs.